If you have a yard, chances are somewhere in your yard you have a small crop of mint threatening to take over your flower bed, garden, lawn, etc. This somewhat invasive and pervasive plant actually has some major benefits to your health, so before you take a torch to your patch of mint (or God forbid, weed killer), take a look at some of these reasons to keep this herb around. Mint is a popular herb in cooking, especially Greek and Mediterranean dishes, as well as teas, sauces, and mojitos. Mint is also very popular in toothpastes, mouthwashes, soaps, and soothing salves. Mint has several outstanding proven health benefits as well and has been used by Ayurvedic medicine, and has been around long enough to be a part of ancient Greek mythology. It was used in ancient Athens as a deodorant and was used in the 14th century as a toothpaste. There are a variety of types of mint available. (I used to have ‘chocolate mint’ plants that had a mild chocolate mint flavor.) 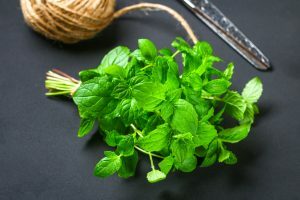 Mint can be any plant that belongs to the Mentha family of plants and includes mint, peppermint, spearmint and all kinds of varieties related to these. Spearmint actually has a sweeter taste, while peppermint has more of the powerful menthol concentrations. 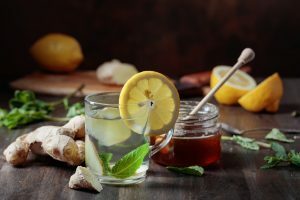 Many studies show the different variations of the mint plant have a number of different health benefits that can range from helping indigestion to boosting athletic performance. And considering just how common it is, it should be pretty easy to incorporate into your daily routine! Peppermint—This very common form of mint contains the classic minty fragrance and flavor. Peppermint can be used dried or fresh in foods, tinctures or teas. Spearmint—You can find this version growing wild all over North America. 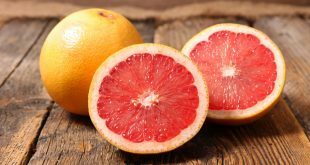 This variety gained popularity when added to chewing gum and toothpaste. Catnip — Cat lovers know this herb can make cats go crazy. While cats love it, it also is popular in teas for people. 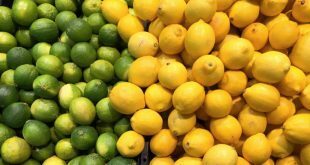 Bergamot— Bergamot oil is excellent for aromatherapy, and this mint plant actually has a delicious orange-y citrus fragrance. Lemon balm— The delicate lemon flavor of lemon balm makes it a well-loved garnish for drinks, and also adds a delicate flavor to tangy dishes. Indigestion and Nausea–Mint has a long legacy as being helpful for stomach aches, nausea and indigestion. Peppermint, with its more concentrated menthols, actually helps to increase bile secretion and other digestive enzymes that help improve indigestion and help the stomach empty quicker. Peppermint can also relieve the pain from gas, bloating and even peptic ulcers. The active ingredient in mint is a strong antispasmodic that actually soothes the spasms in the stomach and intestines. This antispasmodic action helps nausea and vomiting, gas pains, colic, stomach cramping, and even irritable bowel syndrome (IBS). 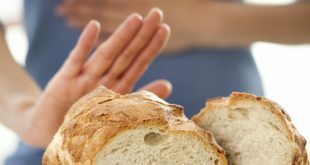 However, if you happen to have a lot of issues with GERD (gastrointestinal esophageal reflux disease), be cautious, it could make it worse. 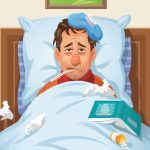 Colds, Sinus Infections and Allergies—Menthol from the peppermint plant is often used in cold and flu treatments. Menthol is believed to have soothing properties and to help with breathing and congestion. Check out the label of most any over-the-counter cold or flu medicine and you’ll most likely see “menthol” on the list of ingredients. A very popular commercial ‘chest rub’ for colds and congestion contains menthol as its active ingredient. Although many people believe menthol is an effective bronchial and nasal decongestant, studies show that menthol has no direct action on airways. The cooling sensation that menthol causes has minor anesthetic properties, though, making it feel easier to breathe. Peppermint also acts as an expectorant, helping to open your airways and clear out mucus to reduce congestion, and is one of the best essential oils to use for coughs, sinus infections, asthma, bronchitis and other respiratory conditions. Lab studies show that the compounds found in peppermint oil have antimicrobial, antiviral and antioxidant properties, meaning it may also help to fight infections that lead to symptoms involving the respiratory tract. Mint plants also contain an antioxidant, anti-inflammatory ingredient called rosmarinic acid—as does rosemary and other herbs. Rosmarinic helps allergies by relieving the inflammation that accompanies allergies. Rosmarinic acid is increasingly being identified as a highly effective anti-inflammatory and immune modulating substance. This antioxidant works by inhibiting COX-1 and COX-2 enzymes, in a similar fashion as medications such as ibuprofen. Improved Athletic Performance—Almost every athlete is looking for ways to (legally and safely) increase their athletic performance. Peppermint has held popularity among athletes as an analgesic, anti-inflammatory, antispasmodic, and antioxidant. Most research has focused on using peppermint aroma as a performance enhancer that also helps to decrease perceived effort. This study looked at how peppermint odor affected actual athletic task performance. Forty athletes undertook a series of physical tasks under conditions of no-odor or peppermint odor. The peppermint odor condition resulted in increases in running speed, hand grip strength, and number of push-ups. Using a Peak Flow Meter device showed an improvement in the lung capacity and inhalation ability after inhalation of peppermint aroma. Nasal airflow force increased as well, so it was speculated that the peppermint aroma may help the body to supply more oxygen to the brain, which could be effective for continuing physical performance. And, this study shows the effectiveness of supplementing with peppermint oil to improve actual physical performance. 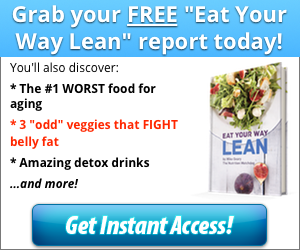 In this study, 12 males consumed 500ml of water with 0.05ml of peppermint oil. Blood pressure, heart rate, and spirometry parameters including forced vital capacity (FVC), peak expiratory flow rate (PEF), and peak inspiratory flow (PIF) were determined before and after the supplementation period. The results of the experiment support the effectiveness of peppermint essential oil on the exercise performance, gas analysis, spirometry parameters, blood pressure, and respiratory rate in the young male students. Researchers think that the relaxation of bronchial muscles, increase in ventilation and brain oxygen concentration, and decrease in the blood lactate level are the most plausible explanations. Brain Booster—A nice cup of peppermint tea may be just thing to boost your brain function and improve your mood. 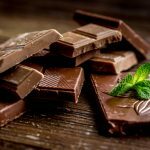 A recent study from Northumbria University shows it helps to not only stimulate the central nervous system, but it also helps to improve both short and long-term memory. The research presented at the British Psychological Society’s Annual Conference in England last week, adds yet another health benefit to peppermint tea’s impressive resume. Study subjects showed significant improvement in both long and short-term memory tasks, and they reported a higher level of alertness and improved mood as well. Pain Relief— Mint is a very effective natural pain killer, as well as a muscle relaxant. ‘Mentholated’ balms or sprays used externally help to relieve pain on sore achy muscles and joints. Because the sensation of mint or menthol is very cooling, it can provide an intensely cold sensation to any affected area. In case of injuries, or aches and pains, topically applied peppermint oil or ‘menthol’ rubs will help to reduce swelling, relieve pain, and decrease uncomfortable inflammation. Mint can also provide a number of other benefits because of its calming and cooling properties. It helps to relieve insect bites and stings, rashes, sunburn and other skin ailments. To use peppermint oil for pain relief, simply apply 2–3 drops topically to the area of concern three times daily, add 5 drops to a warm water bath with Epsom salt or try this recipe for Homemade Muscle Rub. Combining peppermint with lavender oil is also a great way to help your body relax and reduce muscle pain even more. 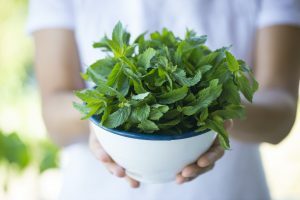 Where to get mint, spearmint or peppermint—If you don’t happen to have it growing out of control in your yard, you can purchase fresh mint from the grocery store or farmers’ market. Add to your salads, spaghetti sauces, salsas and soup to enjoy its many benefits. Peppermint oil, which is edible, can be purchased from almost any health food store and can be added to teas, drinks and other foods. 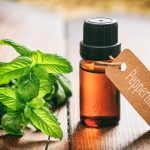 Peppermint essential oil should not be confused with peppermint oil, as it is NOT edible, but very useful in topical applications, inhaled or infused. 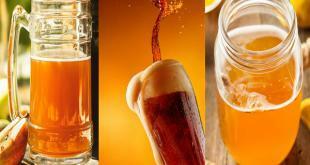 Tinctures can be purchased or made at home, by soaking the mint in alcohol to draw out its beneficial compounds. Tinctures are much stronger than teas, as the alcohol can draw out the medicinal compounds in the mint. Dried mint, spearmint or peppermint are also available as delicious and soothing teas—or you can use your fresh mint in a tea as well. Add a few sprigs of mint into a big jug of spring water and it will taste refreshing and delicious, and you’ll get some of the benefits, especially if you chew on the mint leaves. You can also crush mint leaves into a paste, mix in with your favorite lotion or cream, and apply it topically to reap the rewards of this powerful herb.